FACILITY: Mainland Medical Center (www.MainlandMedical.com) is a 223-bed acute care facility employing 725 staff members. More than 200 physicians represent more than 35 specialties in which they provide quality, compassionate care with state-of-the-art services on the 31-acre campus. Mainland Medical Center is a modern, dynamic, award winning medical facility affiliated with HCA- one of the largest healthcare providers in the world. Since 2003 over $40 million dollars has been invested in our facility. Newly remodeled private patient rooms, two cardiac catheterization labs, MRI, CT Scanner, a pharmaceutical robot and medication scanning system, EMR and a new medical office building where some of the best area physicians are located. The hospital is one of only four nationally accredited Chest Pain Centers in Texas. Hospital services include an Emergency Department that cares for 32,000 patients annually, Level II NICU, CV Services, Pediatric Hospitalists, Fast track Minor Emergency, a Vascular Program, Women s Clinic, Digital Mammography including a CAD and Breast Ultrasound, 24-hour Observation Unit, a new Sleep Lab and much, much more! Located in the heart of one of the nation’s largest petrochemical industrial areas, our hospital makes disaster preparedness a priority. 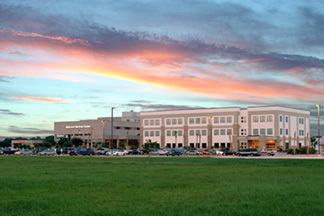 Mainland Medical Center (MMC) is a campus of Clear Lake Regional Medical Center. That means MMC patients have seamless access to the expertise and service on the main campus. That includes our tiniest patients. CLRMC has a 42-bed Neonatal Intensive Unit (NICU) that can receive infant patients by helicopter when needed. COMMUNITY: (www.texas-city-tx.org) This opportunity is located just SE of Houston in Texas City nestled near the shores of the Gulf of Mexico. Location is within 30 minutes of Houston Hobby airport. Major medical center, VA clinic and several retirement facilities, miles of beaches for sailing, fishing, swimming and picnicking, low crime rate, low tax rate, 9th largest deep water port in U.S.